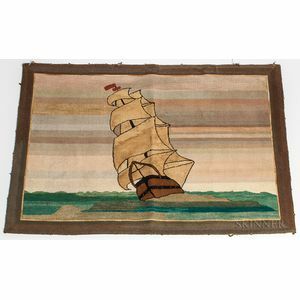 Sailing Ship Hooked Mat, Grenfell Labrador Industries, Newfoundland and Labrador, early 20th century, composed of bleached and dyed cotton strips hooked onto a burlap back, with woven Grenfell label on back, ht. 27, wd. 39 1/2 in. 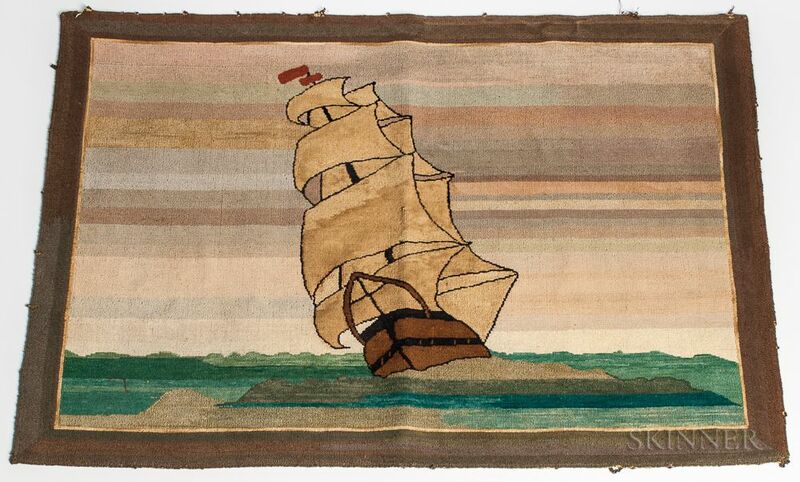 Couple of small pulls in the sails; wear and some losses/pulls at edges.